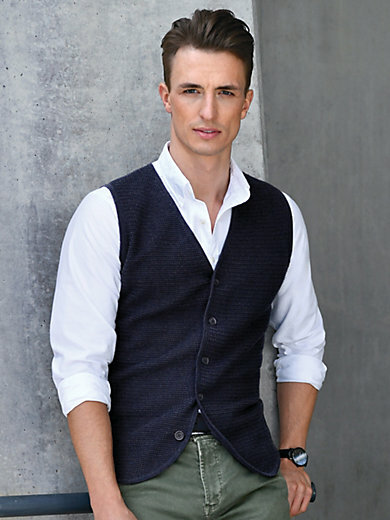 Waistcoat by LOUIS SAYN in a smart, sporty look with horizontal textures, a rounded hemline at the front and a button band. 100% cotton. The waistcoat is machine washable.